Having quality windows is one of the most important aspects of every home and one of the first things most people notice. 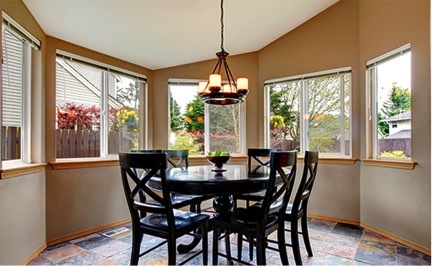 Windows not only improve the overall look of the home but they add considerable value to a house. Siding and Windows Group can provide excellent replacement window installation and the services necessary to keep a home looking great. Impressive Window Selection – Whether it’s a bay window, an awning, or an elegant geometric style window, Siding and Windows Group offers an incredible selection of beautiful, quality windows. Qualified and Experienced Team – Siding and Windows Group has an incredible team that can advise customers each step of the way. From initial consultation to window installation, customers can count on professional support. Free Consultation – Schedule a free consultation today to discuss everything from window selection to various financing options. The following are a few of the types of windows to choose from when selecting windows in Lincolnshire. Fiberglass Windows – Fiberglass windows feature excellent insulation and incredible durability and strength. They resist warping, cracking, and rotting. Vinyl Windows – Vinyl replacement windows can be selected from a wide variety of textures and colors. They are energy efficient and can be custom built. Wood Windows – Wood provides a classic, attractive look to make any home look great. Wood also does well in extreme temperatures and provides excellent insulation. Why Choose Siding and Windows Group? When choosing a Lincolnshire window contractor make sure to contact Siding and Windows Group for all your home improvement needs. They have over 30 years of experience in the window and siding business. With a high rating on Angie’s List, excellent warranties, and financing options available, Siding and Windows Group has proven to be an exceptional window and siding company. A home is one of the most important financial investments a person will ever make. Selecting the best company to provide quality replacement windows is essential. Siding and Windows Group has excellent window selection and proven experience. Contact Siding and Windows Group today and schedule a free consultation.